Ed Asner arrives in Hannibal January 13th! Do you have your tickets yet? You don’t want to miss this once-in-a-lifetime opportunity to catch one of TV’s greatest comics on stage right here in Hannibal. Based on the true story of a man who discovers his inner self (in more ways than one! ), A Man and His Prostate is a hilarious comedy by Emmy-Award-Winning playwright Ed Weinberger. The show has been touring the US for the past year and this is the only Missouri stop on the tour. Described as a public service disguised as a comedy, the combination of Asner’s masterful comedic timing and Weinberger’s award-winning wit has audiences raving from coast-to-coast. 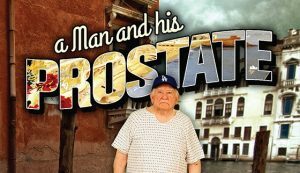 Prostate cancer is no laughing matter, but A Man and His Prostate puts a decidedly funny spin on what it’s like to develop the symptoms in a foreign country where you don’t speak the language. At 88 years old, Asner has lost none of the skill that made him a household name as Lou Grant on The Mary Tyler Moore Show and later on his own hour-long drama, The Lou Grant Show. This is your chance to see him up close and personal. Good seats are still available and cost from $25 to $45. For $15 more, you can add an after-show meet and greet with the star including a chance to take you picture with Ed Asner. Hurry-you have only two weeks left to buy tickets. 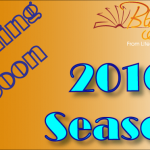 Book online or call the Box Office at 573-719-3226. Saturday, January 13th 7:30 p.m.
Brought to you in part through a generous contribution from Hannibal Regional Health System. Visiting Hannibal for the show? Book your own private home-away-from-home on Indigo Pony Vacation Rentals. Efficiencies, Two-bedrooms and whole houses starting at just $75 per night. 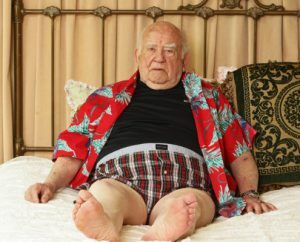 Next article Beat The January Blues-Ed Asner Brings His Comedy to Hannibal!